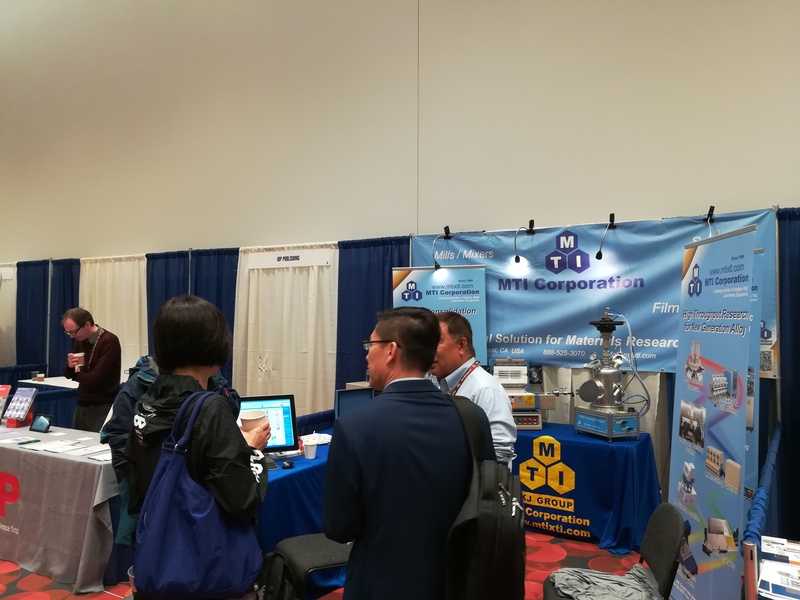 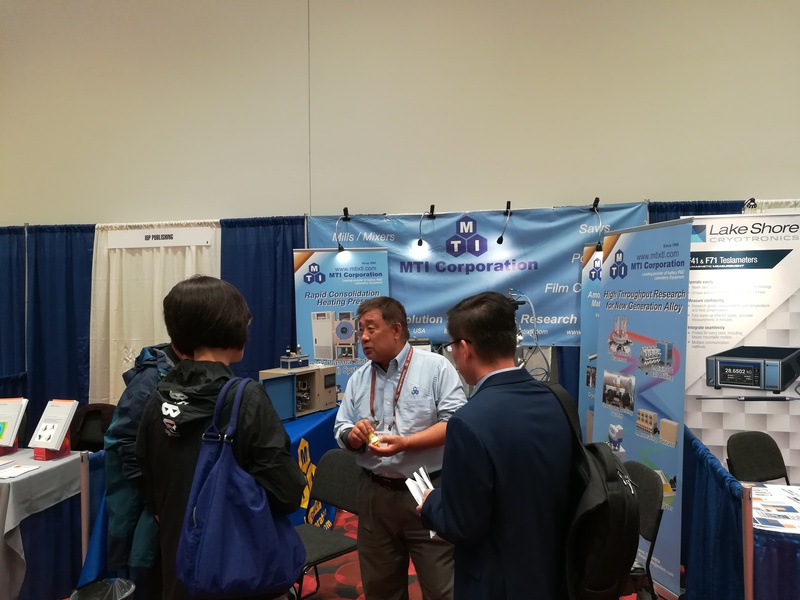 International Conference on Magnetism ICM 2018 was held at Moscone Convention Center South in San Francisco, CA from July 16th to 20th. 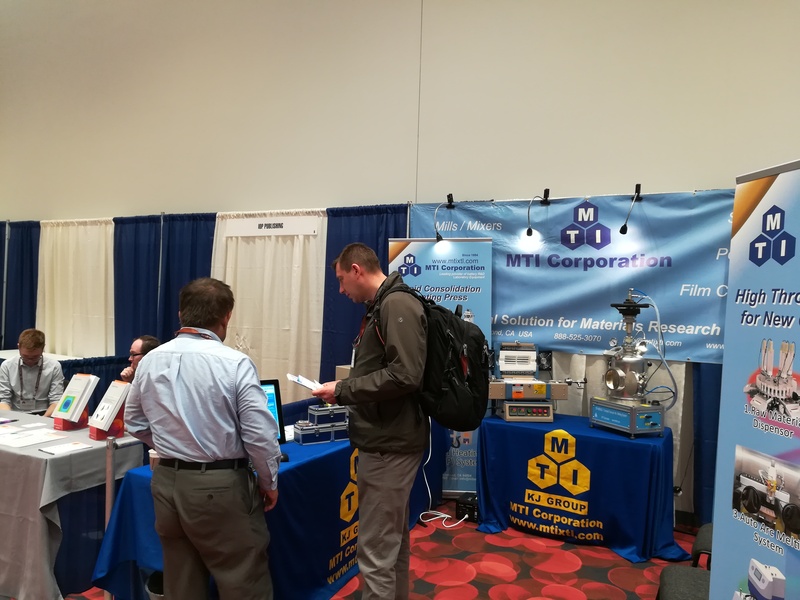 There were about 1,500 attendees including 23 exhibitors. 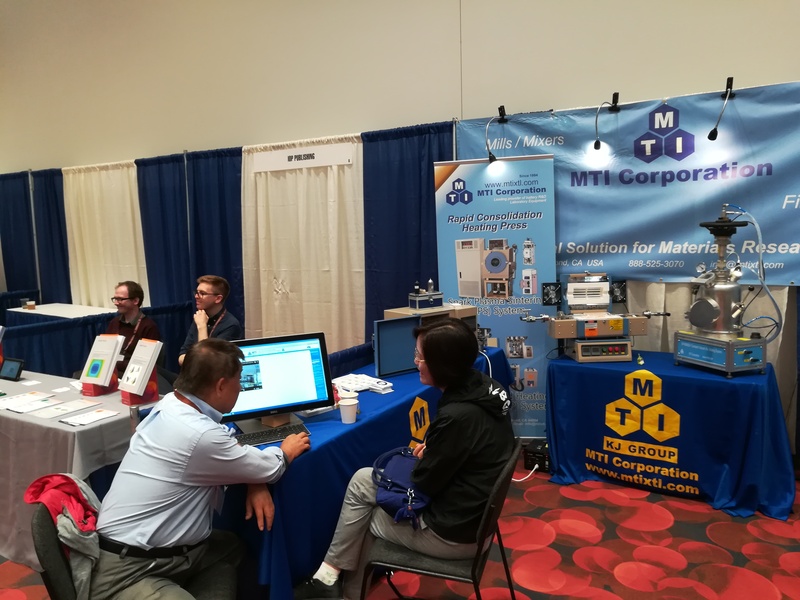 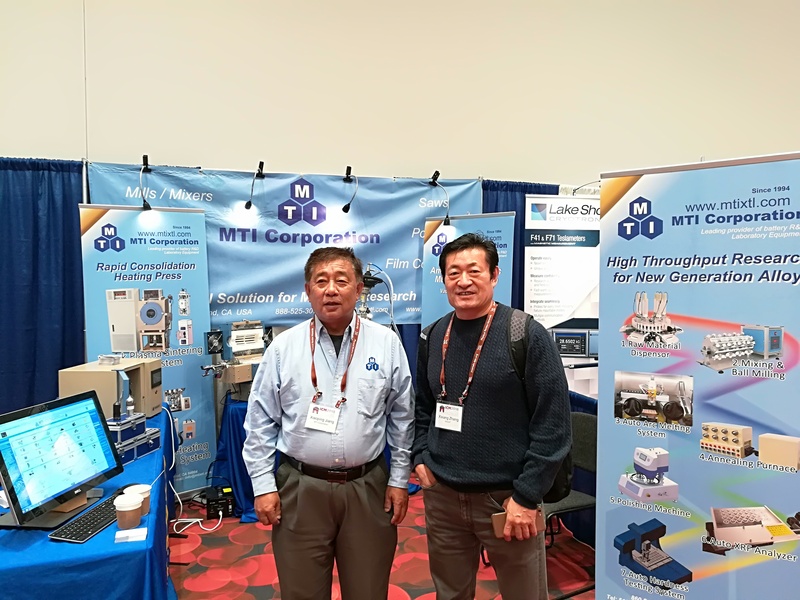 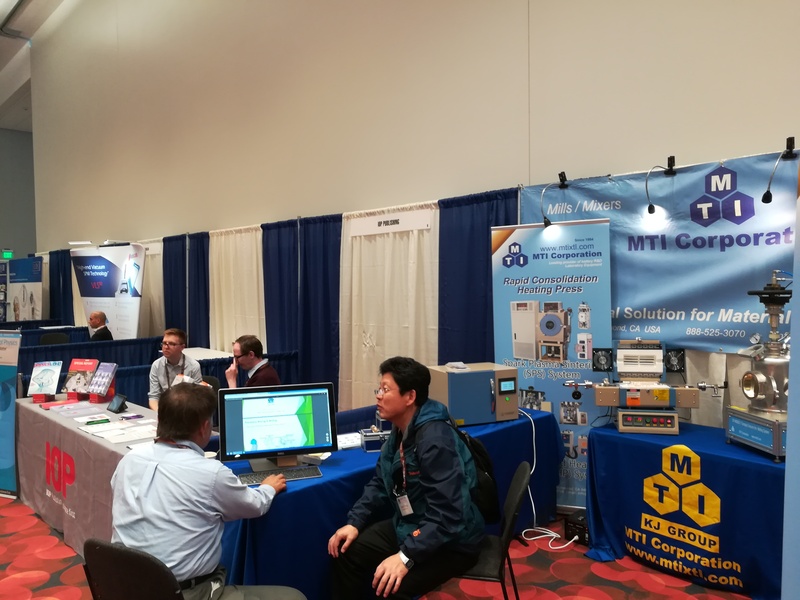 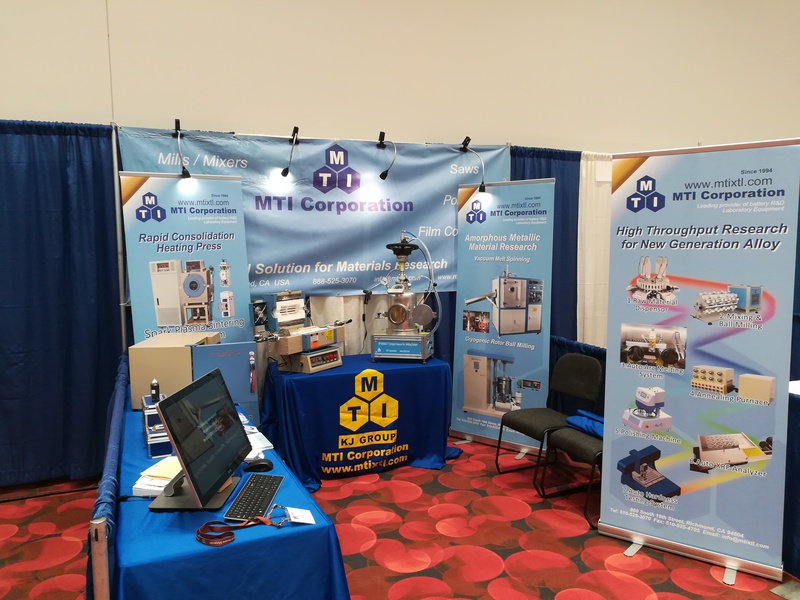 MTI Corporation held booth #5 to present the Compact Vacuum Arc Melting System with 7 Cavities, the Compact 2" Two Zones Rotary Tube Furnace for Powder CVD, the High Throughput Planetary Ball Mill with 16 Channels SS Milling Jars, and Nickle, DyScO3, GdScO3 NdGaO3 Single Crystal Bulk. 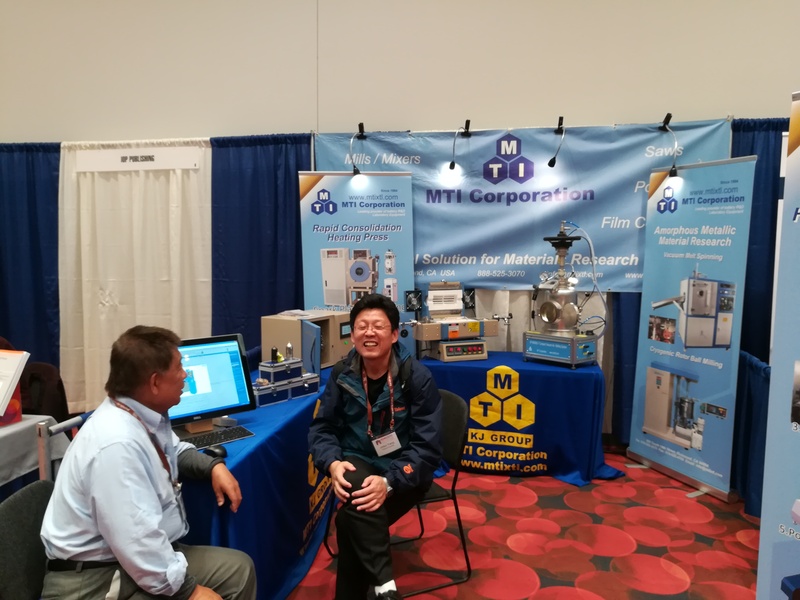 In the exhibition, MTI team mainly focus on promoting the Rapid Consolidation Heating Press SPS and VRHP systems, the Vacuum Melting Spinning system, the Cryogenic Rotor Ball Milling system, and the High Throughput Lab Equipment for New Generation AI Materials Discovery. 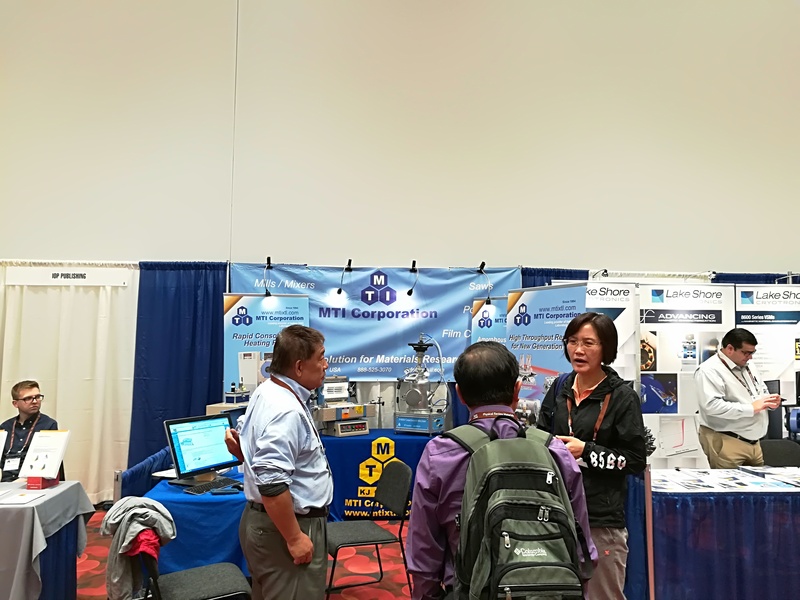 Moreover, we presented the poster "High Throughput Experimental Technologies for Hard Magnetic Materials"